Jerusalem, Israel trips from Cyprus. One and two day Holy Land tours. We make visiting what is probably the Holiest Place in the world easy. Make your trip to Cyprus even better with a quick tour to Jerusalem. We have been organizing short tours to Jerusalem and the Holy Land for well over a decade. Our tours include flights from Cyprus, guided tours around Jerusalem and where necessary hotel accommodation. Our usual tours are for either a single day (Jerusalem Express) or two days (Holy Land Pilgrimage) but we can also handle requests for longer, custom trips. A few times per year we also offer short cruises from Limassol to the Holy Land. Book early to take advantage of lower Cyprus to Israel flight prices available by calling us at 22663477 or emailing us today. Taking advantage of regularly scheduled flights between Larnaca, Cyprus and Tel Aviv, Israel we offer this very interesting two day tour of the Holy Land.The excursion includes visits to Jerusalem and the Dead Sea. Tour departures days of the Jerusalem Express trip depend on the period but usually start on Wednesday or Sunday. Russian language guiding is always available and sometimes there is an English language option. The detailed program of this two day tour to Israel from Cyprus follows. Day 1 : Pick up from your hotel (selected area only) and departure from Larnaca airport in Cyprus for Israel. On arrival at the Ben Gurion airport in Tel Aviv you will meet our guide and prepare for a tour to the Dead Sea, the Lowest Place on Earth. Enjoy the opportunity to float in the salty waters and experience the therapeutic and healing qualities of the sun, mud, water and minerals of the unique Dead Sea. You will then continue on to the city of Jerusalem. The tour’s plan of visits includes the Old City and stops at the Church of Resurrection, Golgotha, the Church of the Holy Sepulchre, the Place of the Finding of the Cross, the Chapel of Adam, the Chapel of the Derision, the Church of the Redeemer, the Chapel of St Joseph of Arimathea and the Cistern of Saint Helena. The final stop of the tour for the day before your hotel will be the Wailing Wall. Dinner is included. Day 2 : After breakfast, check out from hotel and continue to visit Bethehem. The small town near Jerusalem was mentioned in the Holy Bible as “the home of King David”. The Church of Nativity now stands on this spot and is one of the most important sites for Christianity, which of course you will visit. 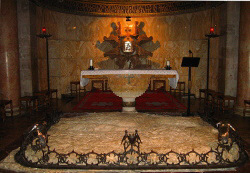 Other stops include the Chapel of Bethlehem Innocents, commemorating the children killed and the Chapel of Saint Jerome. Transfer to Ben Gurion airport and fly back to Larnaca airport. Transfer back to your resort. – Times specified on program are indicative and can be changed according to the development of the tour. – Depending on flight times, weather conditions or traffic conditions and unforeseen events, the series of visits might be altered. – Be aware of the security control both at Larnaca and Ben Gurion airports. – You might want to consider bringing swimwear and towels with you. 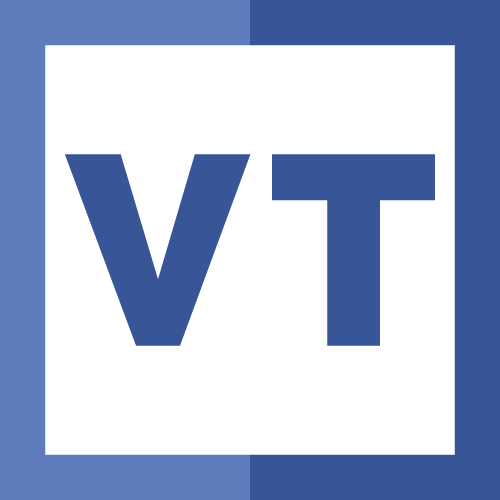 – European Union, United States, Russian and Ukrainian citizens do not require visa entry to Israel. For other nationalities, please consult with our office. – All passengers with nationalities that require entry visa to Cyprus should have a re-entry visa on their passports (either Multiple or unused Double). – Clients who travel with PRO visa (mainly Russian and Ukrainian passport holders) should have the relevant documents with them while travelling to Israel. If not, the airline has the right to refuse their check in. In such cases the responsibility lies with the customer and no refund can be made. – Please make sure to always have your passports with you. – Kindly note that the program is subject to change. Tours to visit Jerusalem and the Holy Land from Cyprus. Well planned one and two day trips with flights to Israel from Larnaca or Paphos. A credit card fee of 2% is also applicable for all payments by credit card. Transfers hotel-airport-hotel (Nicosia and Paphos hotels excepted), travel insurance, entrance fees with excursion, breakfast, lunch and dinner are included in the above prices. Paphos – Larnaca return transfer supplement is Euro 40.00 per person extra. Light meals during the flights and dinner in Israel. From June to October we offer one day trips to the Holy Land in Israel from Cyprus out of Larnaca. Tour departures days of the Jerusalem Express trip depend on the period. Russian and English guiding are available on most one day tours to Jerusalem from Cyprus but please confirm at time of request. Polish and German guiding can be arranged upon request. The detailed program of this one day tour to Israel from Cyprus follows. Departure from Larnaca airport in Cyprus for Israel. After your arrival at Ben Gurion Airport you will begin your voyage of discovery in the Holy Land with a visit to Bethlehem the small town near Jerusalem, which was mentioned in the Holy Bible as “the home of King David”. The Church of Nativity now stands on this spot; this is one of the most important sites for Christians. Following lunch in Bethlehem you will leave for the city of Jerusalem. A walking tour will take you through the Christian quarter along the last five stations of the Via Dolorosa including the Church of the Holy Sepulchre which is built on the sites of Calvary and Golgotha where Christ was crucified, entombed and rose from the dead. Here you will have the unique opportunity of lighting candles from the Holy Flame. 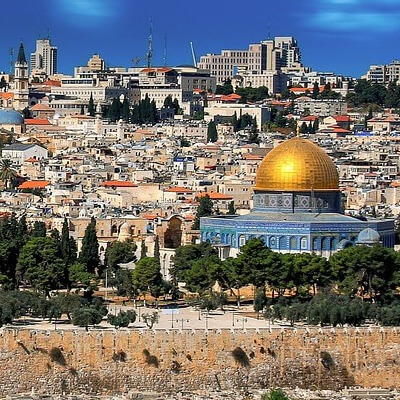 Your tour continues to the exotic Jewish quarter where you will visit the Western Wall – the holiest site in Judaism, the mount of Olives, Gesthemeny gardens. Drive to the Dead Sea – the Lowest Place on Earth. Enjoy the opportunity to float in the salty waters and experience the therapeutic and healing qualities of the sun, mud, water and minerals of the unique Dead Sea. Complete the day with Dinner at a local restaurant before returning to the airport. – No checked in luggage will be taken on board the flights. Hand luggage with personal things, swimwear and towels are recommended. – Passengers with nationalities that require entry visa to Cyprus should have a re-entry visa on their passports (either Multiple or unused Double). – All clients who travel with PRO visa (mainly Russian and Ukrainian passport holders) should have the relevant documents with them while travelling to Israel. If not, the airline has the right to refuse their check in. In such cases the responsibility lies with the customer and no refund can be made. – Muslim clients can visit El-Aqsa Mosque instead of Church of Holy Sepulchre. – You should always have your passports with you. Light breakfast during the flight, lunch and dinner in Israel. Contact us for a booking of our short trips to the the Holy Land and the Dead Sea from Cyprus at sales@varianostravel.com or call us at +357-22680500. Custom trips are also available.